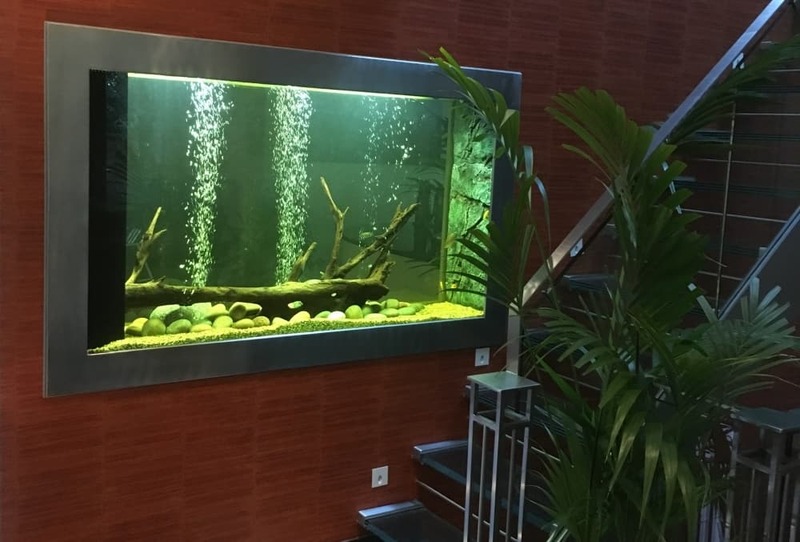 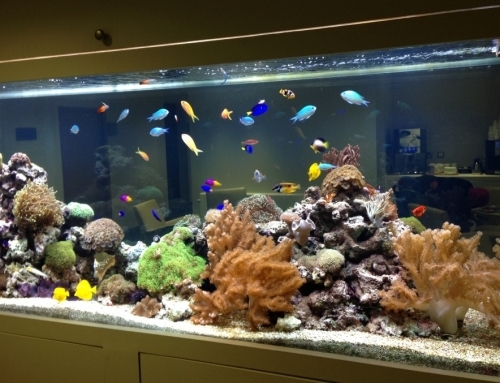 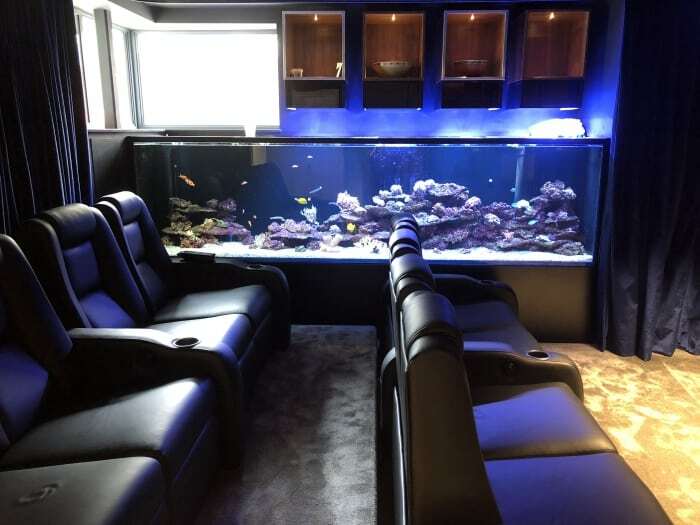 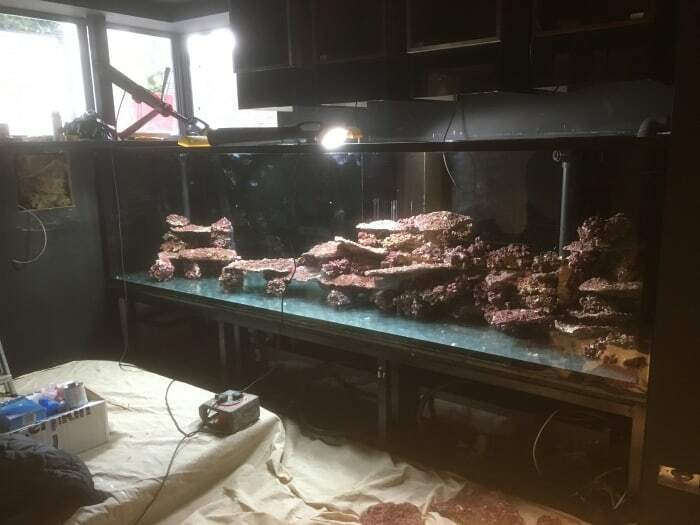 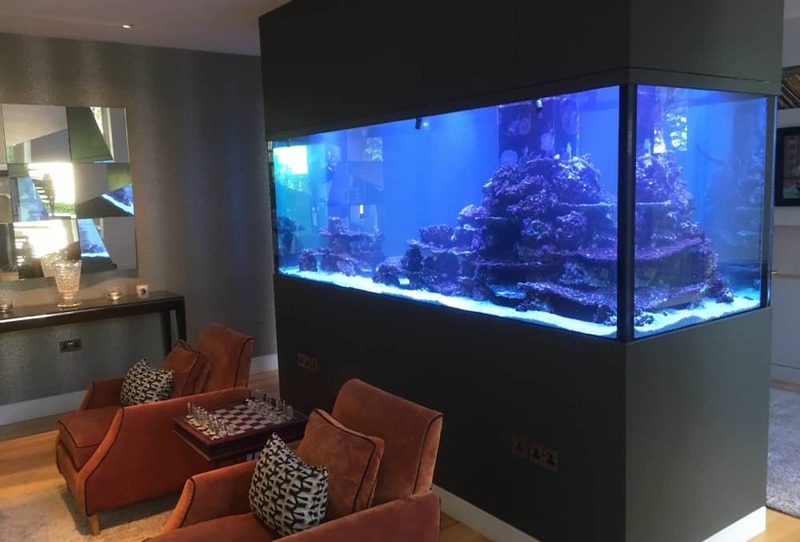 This very large bespoke tropical marine reef aquarium is over 4 metres long, and 800mm high. 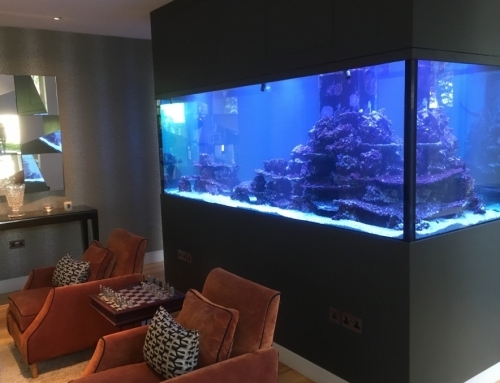 It is a main feature within a luxury home cinema, providing a stunning focal point when there is no film on! 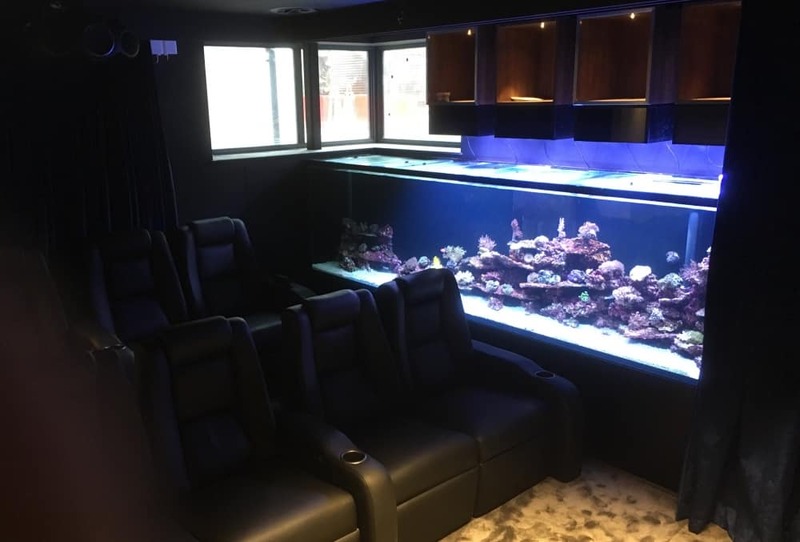 A bespoke curtain comes automatically across the front of the tank during cinema operation to stop the light interfering with the screen! 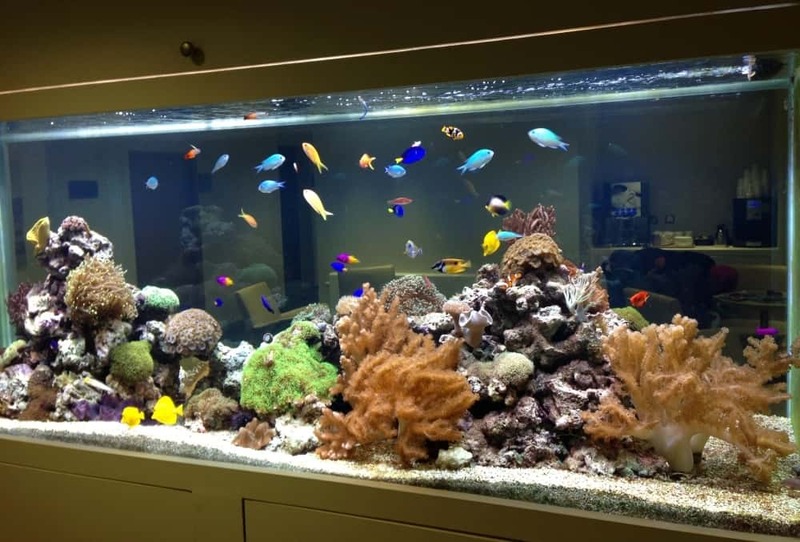 The aquarium contains a large diverse range of corals and fish, and AQUAtechniques provided the design, installation and also the ongoing maintenance service for this amazing aquarium. 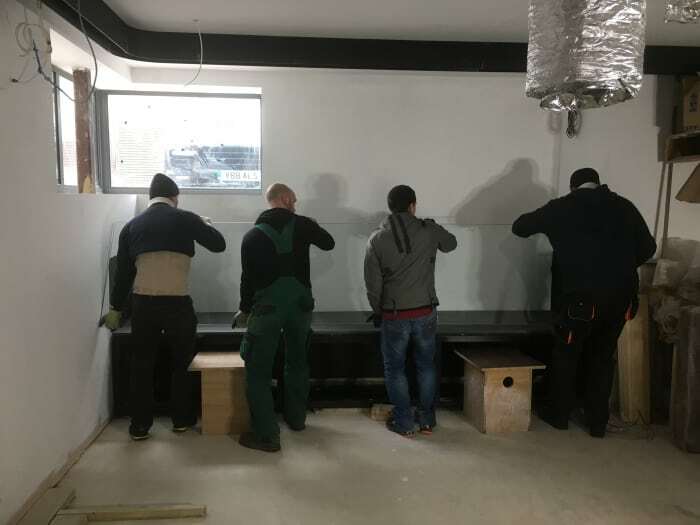 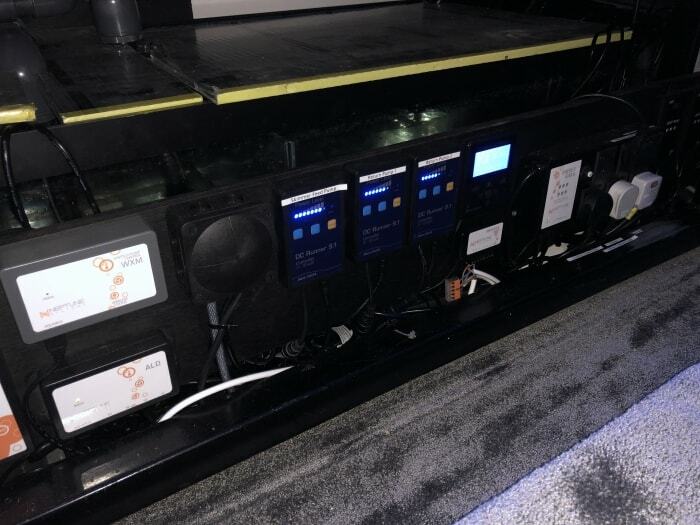 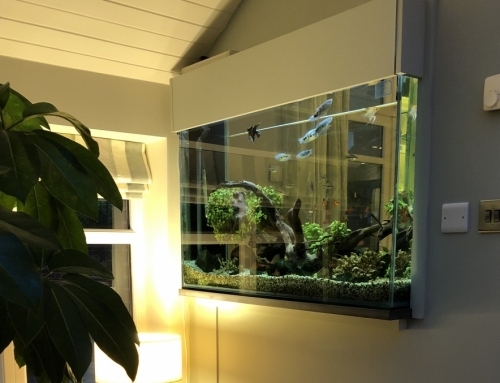 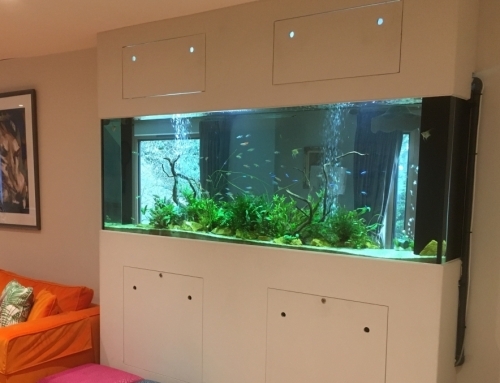 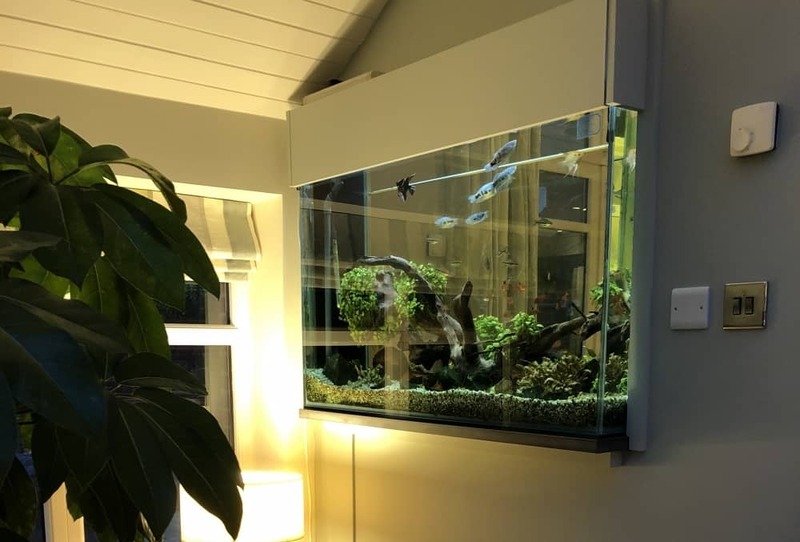 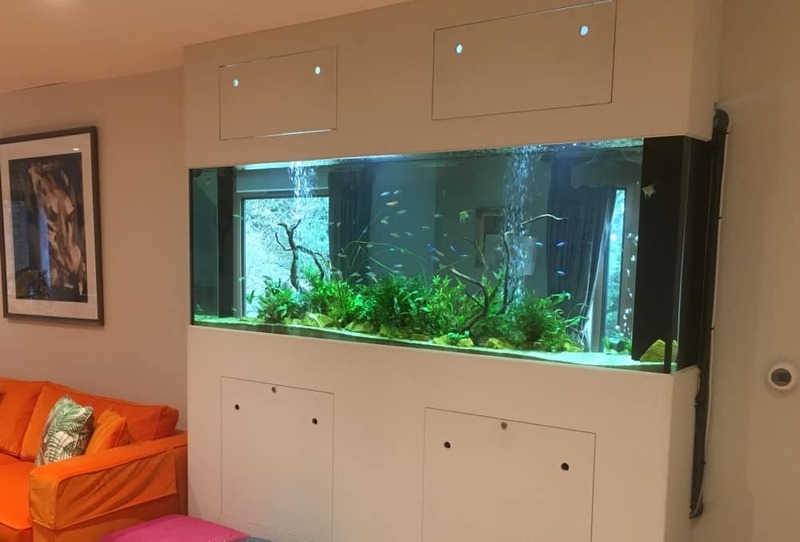 The life support system is partly under the aquarium, but also in a bespoke out-building, with connecting pipework and control systems to ensure everything is monitored, healthy and happy. 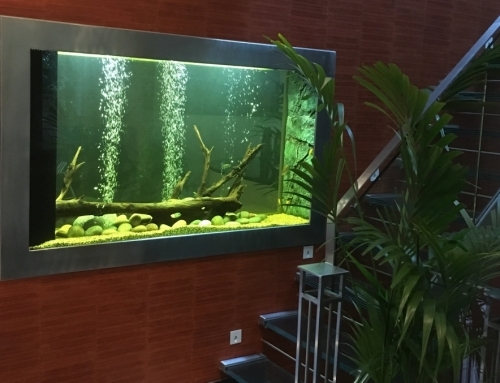 Our remote management service keeps a regular eye on the aquarium from afar, helping to ensure the aquarium the aquarium looks wonderful at all times.